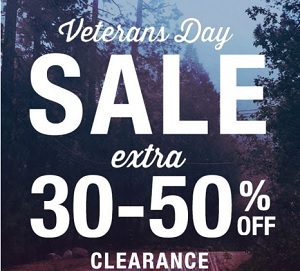 Veteran's Day Sale 2015 is on at Tilly's stores in the U.S. Receive an additional discount on Clearance styles. Take up to an additional 50% off Clearance prices. Source of the information is Tilly's. Offer expires 11/11/2015. More information available at Tilly's stores. (total: 466)G.H. Bass & Co.